Using a variety of fabrics and papers, participants will be introduced to inkjet printing. 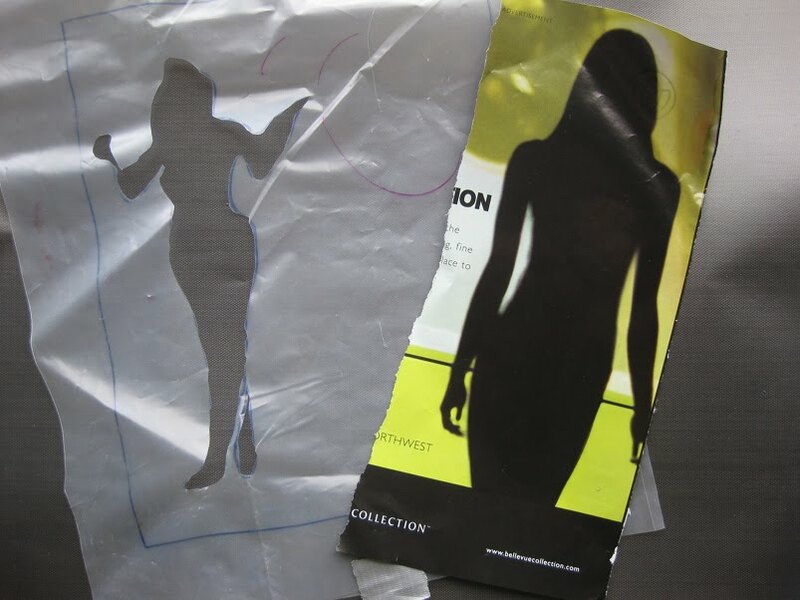 We will print on fabric and other substrates using your own digital art or photograph and create unique surfaces to print on. Contact me for registration. 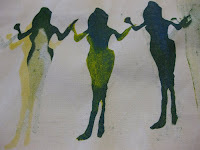 The Workshop will be held at my studio in Rollinsford NH- check here for directions. 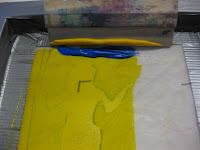 Shown- Molding Paste Substrate and Collage embedded in gel medium Substrate, ready for inkAid. Each screening mask can produce different results. You can use torn paper, wax, tape, contact paper- all sorts of things. 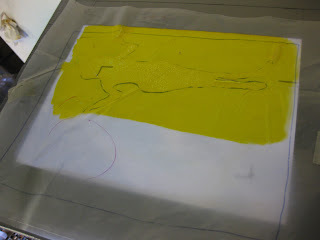 One of my favorites is to use simple 4 ml painter’s plastic tarp. 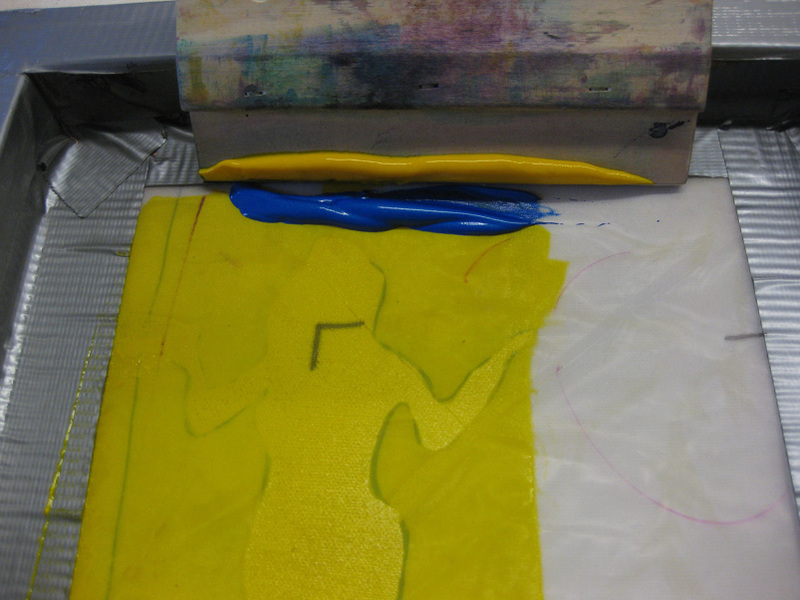 This technique creates durable silkscreen masks. To start, remove wrinkles for a less creased plastic, place in dryer BRIEFLY- do not walk away- for 30 seconds or so. I cut the plastic slightly larger than the size of the screen when laying on it's back. Mark where your well is with permanent marker. The well is the section of screen masked by tape. 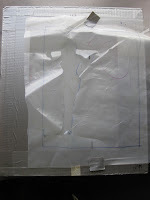 You can create your designs on the same size paper then lay the plastic over this and trace. 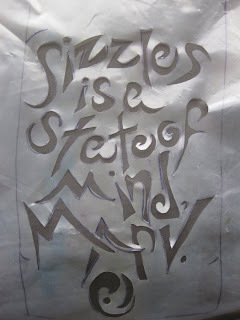 Cut out with craft knife or scissors. Hint- Use a magazine image to trace around. 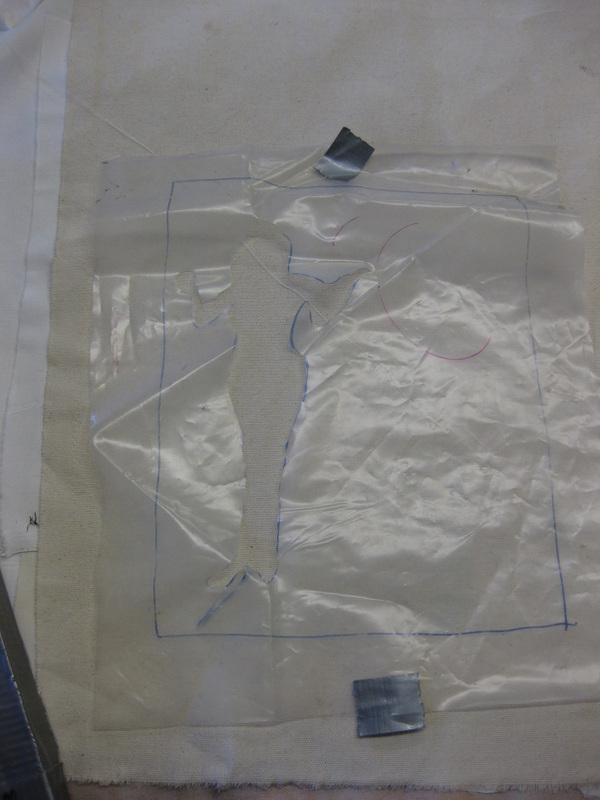 To print- Lay the plastic on a piece of test fabric, place screen on top and place your thicken dye or fabric paint in the well. Firmly squeegee at a 45 degree angle in one or 2 passes. Too much force can blur your design; too little force won’t get the paint though. Here’s the magic. The paint sticks the plastic to the back of your screen, no tape needed! Use 2 colors to make a blend. I usually just keep adding paint and get some really cool blends. You can wipe off at any time too. I always wipe onto a piece of cloth instead of using a paper towel or washing all that delicious color down the drain. The wipe cloths are often very cool themselves. Hint- As you print, if you print over any wet surfaces, plastic will stick there too. If you do this, make sure as you lift, the plastic comes up with the screen. Text- Adding text is a snap. 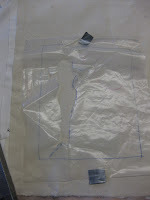 Trace your paper design by placing the plastic on top. Make sure you create bridges- for example- so the center of the e doesn't fall out. And be sure to print with the letters wrong side to you.